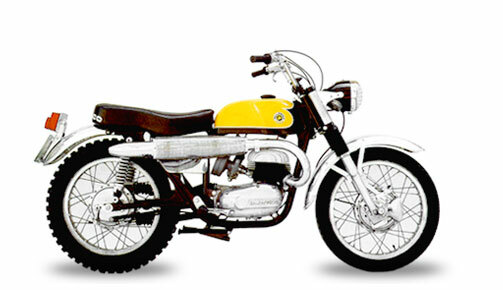 Are you a Bultaco collector? Do you pride yourself in having "EVERY" Bultaco? Is your collection missing something? Maybe you have the full line of Metralla bikes.....Metralla MK2, Metralla 200, Race kitted Metralla....you have them all but you are missing one bike to complete your line-up? Up for sale today is not the actual bike but all the parts you need to convert a Metralla into an El Tigre, just like the factory did. A little history about the El Tigre. 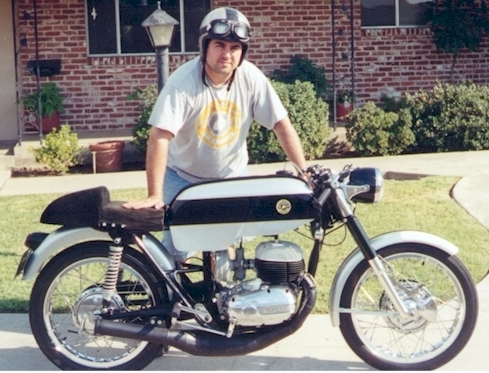 This is what I have been told by people who know their Bultaco history. (If you know a different version of the story please let me know)...The Metralla was an incredible bike but expensive. although Americans could afford them, they were into high bars and fat tires (in other words the US was all about scramblers not cafe style bikes) the Metrallas did not sell well in the US. apparently the Metrallas were staring to pile up in the warehouses. 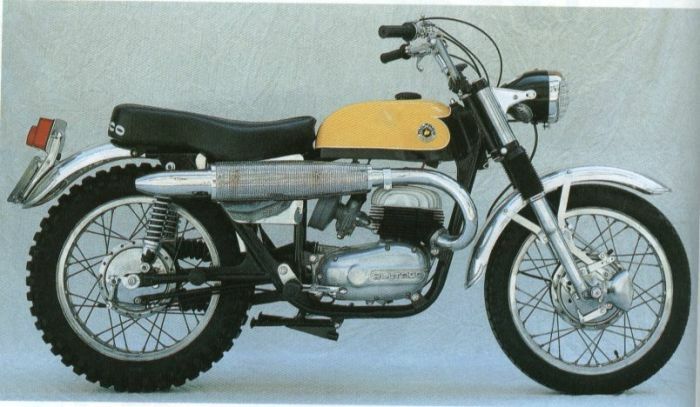 Bultaco decided to convert some Metrallas into a more American style bike and thus the El Tigre was born. Every El Tigre started off as a Metralla, they cut of the back loop of the frame, added some new frame tabs and bolted on some new parts. 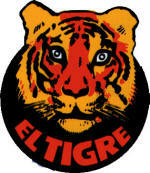 At the time I had no idea just how rare the El Tigre was. Metrallas are extremely difficult to find but The El Tigre is almost impossible to find! what I did know, was that the parts could someday be worth something. Fortunately I kept all the El Tigre parts. most of these parts are unique to the El Tigre. I even kept all the frame tabs that I cut off. I was careful when cutting the tabs so they could be welded back to the frame. What I have for sale today is what I call an "El Tigre Kit"
in the picture below you see the "KIT"
the parts are not perfect, the fenders will need some bodywork as will the tank. the exhaust shield (flat sheet metal that fits between pipe and frame) can be straightened but I think you would be better off using it as a pattern to make a new one. the exhaust guard is in grate shape (just bead-blast and paint). The head-pipe is in great shape just needs chrome ( the El Tigre uses a stock Metralla pipe) I am also throwing in the front sprocket that came off my El Tigre (the Metralla has a larger one) and you also get that leather doughnut thing that fits over the throttle grip (it was on my El Tigre but I don't think they came with one). The tool-box looks like a Metralla tool-box but it is unique to the El Tigre in that it goes on the left side of the bike (the Metralla has an oil tank on the left side) This tool box only came on the El Tigre so it is EXTREMELY rare!!! below you can see the fork tube covers and fork gator clamps. As you can see the spring covers are just like the one found on a Metralla but the are short. the rubber gators clamp to these. The clamp rings were zinc plated with all my Metralla parts so they look new. here are some of the tabs. This tab (above) is welded to the rear of the frame were the rear loop is cut off, it holds the seat and rear fender. This bolt (above) is welded to the top frame tube just behind the head-tube, it is for the gas tank. This tab (above) is welded to the left side on the top tube near the middle of the seat, the tool-box mounts to this. Here is a picture (below) I pulled off the net today, you may be able to see some of the frame changes that were done to the Metralla. 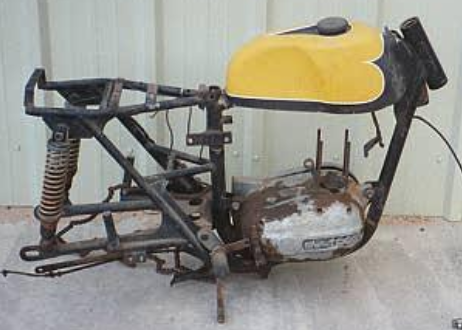 this parts bike in the picture below is not part of the auction. Included in this auction is a owners manual. this is the real deal not a copy. A true Bultaco collection is incomplete without an El Tigre!!! If you would like to give me any information about El Tigre bikes or want to correct my description of these bikes fell free to contact me so I can revise the auction. I Know a lot about Bultacos but I only know what the books and the experts say, I am no Expert on the Bultaco mark. Take a good look at the pictures and ask question, because WHAT YOU SEE IS WHAT YOU GET!!! 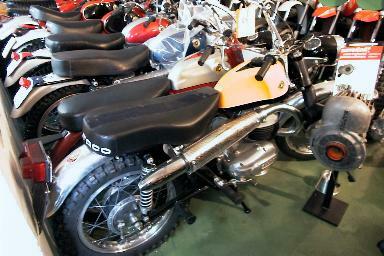 This auction is for the PARTS ONLY, not a complete bike, the bikes you see are for reference only. These parts are used and in need of restoration, they are NOT NOS! The winner of this action must pay in full within 5 days of end of auction. You can pay with PayPal (there will be a fee according to the fee PayPal charges me) . I will only ship UPS. Buyer will only pay actual shipping cost (no ridicules "handling" charges). If you are an over-seas buyer, I will ship USPS but contact me before you bid. If you are the type who sends bad feedback without trying to resolve the problem like a gentleman, DON’T BID!!!!! I have been at this eBay thing for a long time and have bent over backwards to keep my feedback at 100%, any monkey business will be dealt with viciously!! If you don’t understand the legality of an eBay transaction, DON’T BID!! !